Posted on October 26, 2014 by Ronald Patrick Raab, C.S.C. What a beautiful morning! 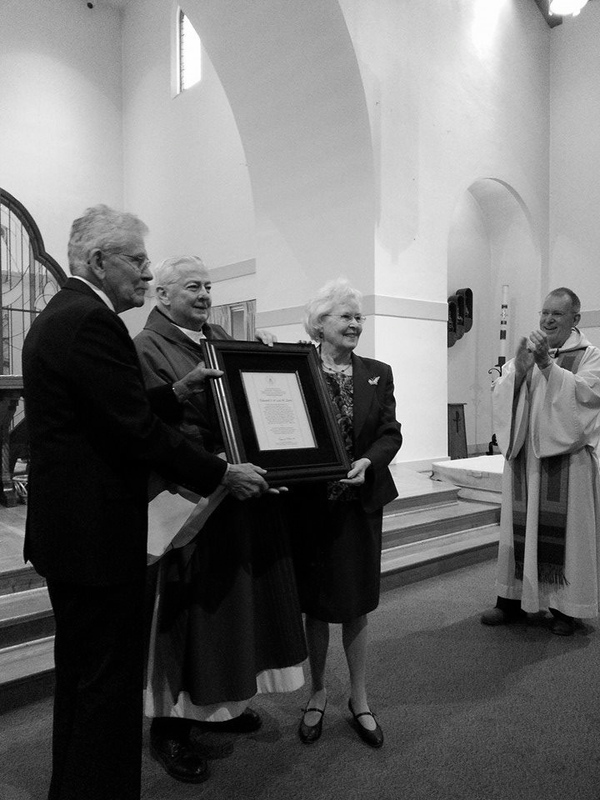 Ed and Lea Zorn received the Spirit of Holy Cross Award at the 9:00am Mass today from our Superior General, Rev. Richard Warner, CSC. Lea and Ed were the only employees at Sacred Heart Church when we arrived in 1984. What a blessing to see them receive this award thirty years later. They are still so active in our community and I am so inspired by their 62 years of marriage. Blessings, Lea and Ed!